Homecare Software- Amedisys, Inc., a Louisiana-based home health provider has reportedly had their data breached and is currently in the process of notifying federal and state agencies- a requirement by law. Amedisys conducted a risk management process earlier this month to locate approximately 142 encrypted computers/laptops that were apparently in the possession of former employees and contained sensitive patient information. While there have been no actual reported instances of data abuse, it cannot rule out unauthorized patient access via the devices and the breach must be reported in accordance with healthcare information privacy regulations. “An Amedisys inventory has shown that a laptop or computer used in connection with the home healthcare Amedisys provided to you has not been located within the Amedisys system. Our records indicate that this device was originally assigned to a licensed clinician or other Amedisys team member as of [DATE]. The computer at issue contained your medical records, including Social Security number, date of birth and Medicaid/Medicare number. The computers were originally assigned to Amedisys caregivers and many of them were unaccounted for after the designated employees left the agency. Amedisys claims that their devices are “robustly protected” with 256-bit encryption but does not offer any additional details regarding their security practices. Amedisys has offered one-year subscriptions to identity theft protection services to all potentially impacted customers and has also hired a technology consulting service to further assess and enhance the security of their health information network, as well as the inventory system used to track their equipment. Currently, regulatory authorities such as U.S. Department of Health and Human Services are reviewing the current situation and the implications of local and federal laws. 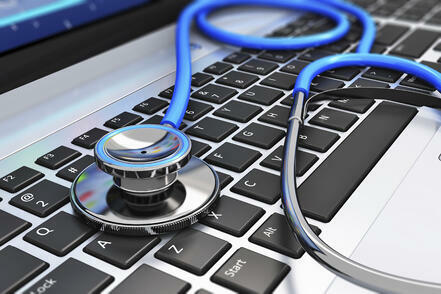 At MyHomecareBiz.com, patient information security is paramount. If you’re concerned about the integrity of your agency’s information security practices, we are always available to assess your situation and provide you will valuable information to ensure your agency is in full compliance with security regulations.